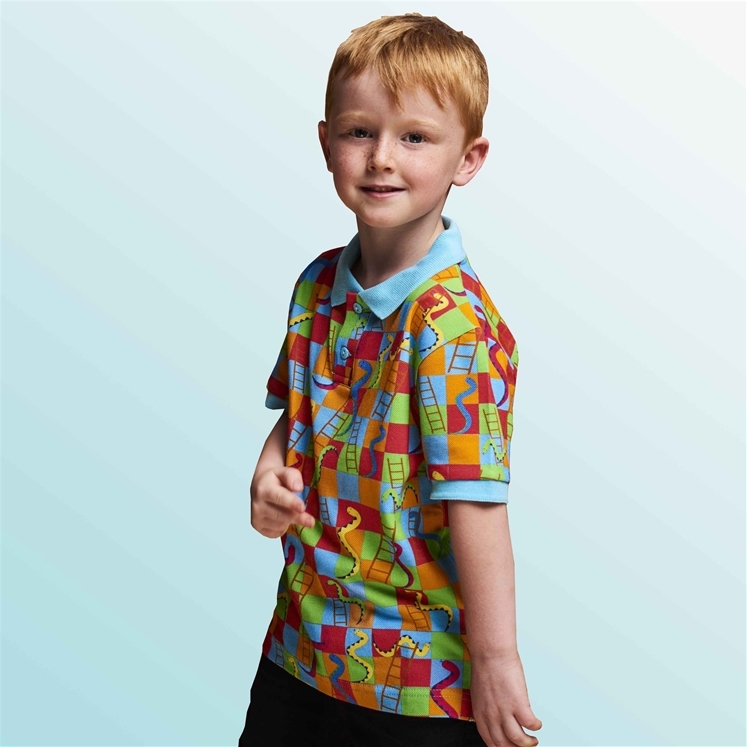 Childrens unisex printed piqué polo shirt. 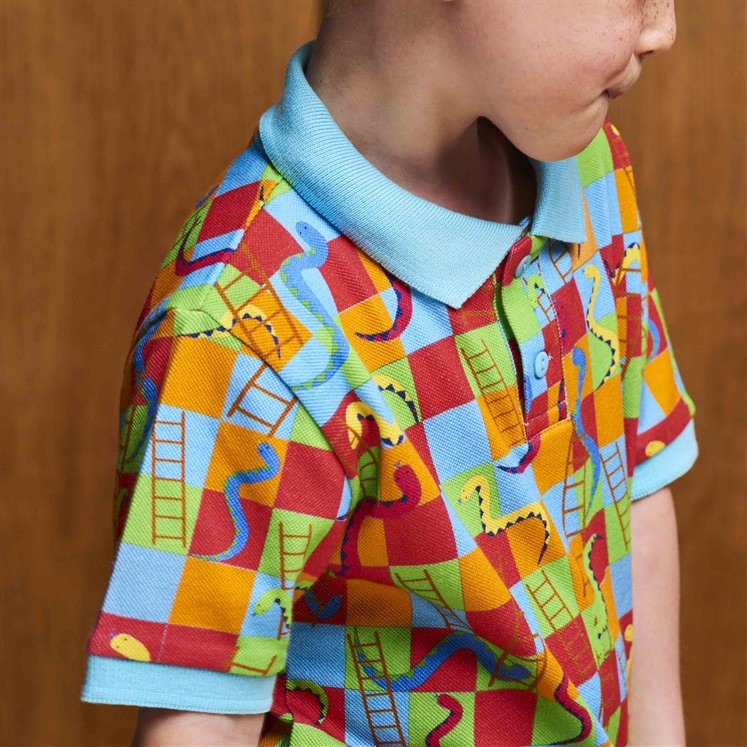 A vibrant design of everyone's favourite board game 'snakes and ladders' on a blue, yellow, orange and green board. 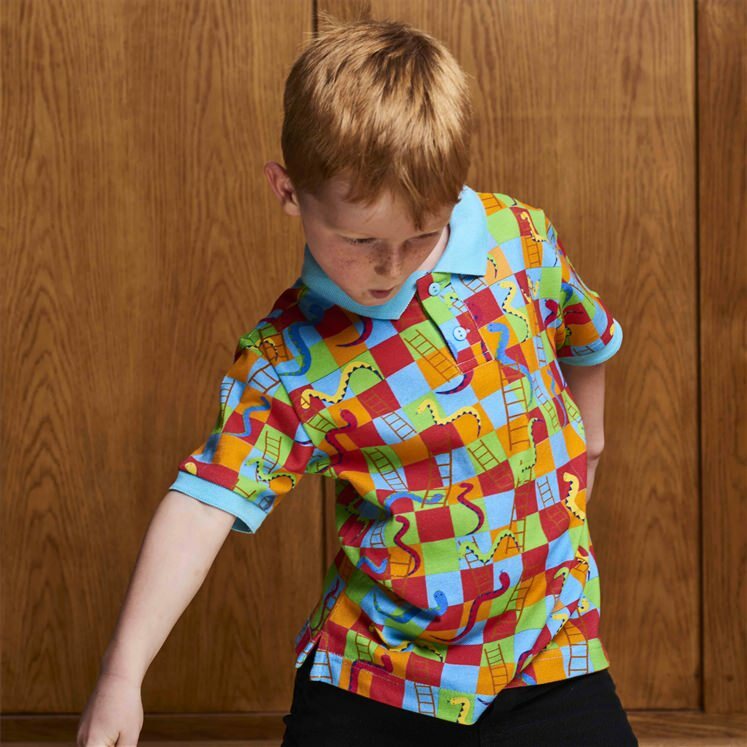 A limited edition polo shirt designed by Gresham Blake in collaboration with Childrensalon.